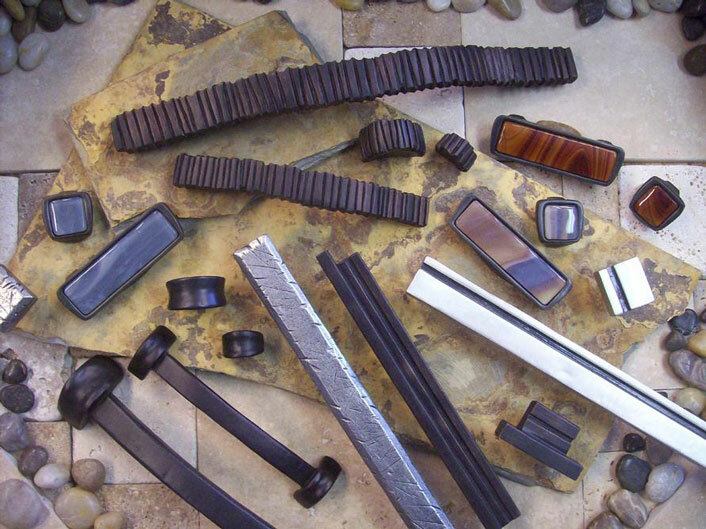 Barz Decorative Hardware, LLC designs and manufactures decorative hardware including knobs and pulls for kitchen cabinets, oversized pulls and miniature knobs, switch plates, hooks, and shelf brackets for any room of the home, and outdoor pieces including house numbers, door knockers, and door bell covers. Our company, founded by Peter Barszcz, gives customers a voice in their homes by creating custom decorative hardware that reflects quality, artistic appreciation, and today’s design trends. Inquiries about custom designs and sizes are welcome! 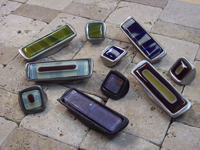 New Glass Designs, 4", 6", 10" and up to 15" pulls to match other sets. View in our catalog! View Barz on CBS Nightly News! More than 150 retailers nationwide!